A Birney 'safety car' makes a stop in late afternoon on old Shore Road. Pullmans in B&O's "Chicago Night Express" rumble overhead on their way west. 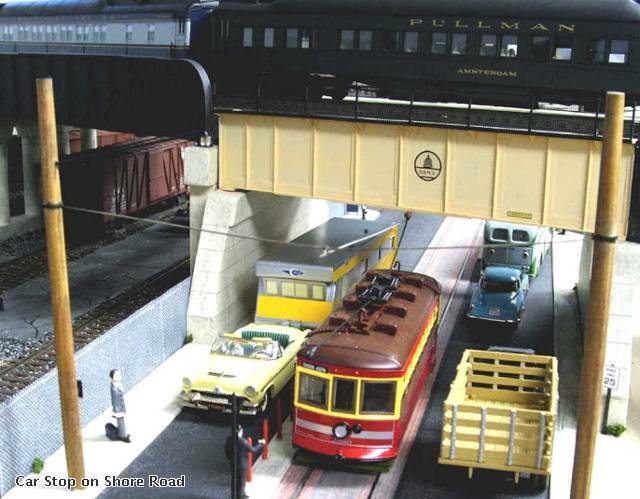 Street traffic is heavy too, beside the Edgewater Shops of the Baltimore & New York Railway.